The Bowers & Wilkins 800 Series of speakers has been among the most highly-regarded of its kind for over the past three decades. The 800 Series has not only whetted appetites the world over, but found homes in some of the most highly-regarded recording studios, including Abbey Road, where most of the Beatles' and Pink Floyd's albums were recorded. Thankfully, Bowers & Wilkins has not rested on its laurels. The 800 Series of today shares its roots and basic design with the 801, introduced in 1979, but features significant refinements that keeps this series among the world's finest. Bowers & Wilkins' Matrix bracing technology, Nautilus tapered tubes and yellow Kevlar midrange drivers carry on into the newest 800 Diamond series, introduced in 2010. 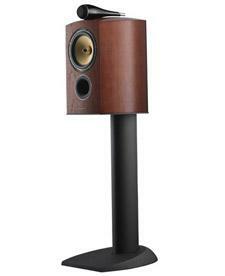 • Read more bookshelf speaker reviews by the HomeTheaterReview.com writers. • See more reviews in our Digital to Analog Converter Review section. The 805 Diamond reviewed here is the smallest speaker in the current 800 series lineup, but it shares the same newly developed diamond tweeter that is found in the rest of the 800 Series. While diamond tweeters are not new to Bowers & Wilkins, the current 800 Series uses a newly designed one-inch dome diamond tweeter made by a chemical vapor deposition process that does not break up until 70kHz, much higher than rigid dome tweeters made from more traditional materials. With the range of human listening topping out at the 20 kHz range, one may argue the merits of increasing the breakup frequency from 30 or 40 kHz to70 kHz, but Bowers & Wilkins' listening tests have found that the higher the breakup frequency, the cleaner the sound within hearing range. The diamond dome material is a large contributor to what provides the tweeter with the potential to perform well, but it is only part of the overall assembly and would be wasted if the rest of the assembly was not up to the task. Thankfully, the technological advancements of the tweeter assembly go beyond the diamond dome material. The tweeter uses a quad magnet design, a new surround and the Nautilus-inspired tapered tube, which is mechanically isolated from the speaker cabinet by a viscoelastic material. The magnet assembly and tapered tube design reduce compression, which in turn improves linearity. The six-and-a-half-inch midrange/bass driver is made out of Bowers & Wilkins iconic yellow woven Kevlar, surrounded by a chrome trim ring that matches the chrome phase plug. The Kevlar driver material has developed over the years. The current Kevlar drivers are designed with just enough flexibility to decrease the radiation area as the frequency increases. This flexibility reduces the beaming effect (a narrow dispersion pattern) that would otherwise occur with a cone driver that was purely pistonic in its movement. The 805 Diamond breaks from the floor-standing speakers in the 800 Diamond Series as it does not have the FST surround on the midrange/bass driver. I expect that this is because the FST surround does not allow the extension necessary for the driver to cover the lower portion of the frequency range in this two-way design. Just below the driver is the dimpled "Flowport," with another chrome trim ring. While the Flowport is hardly a new design, the flared port, combined with golf ball-like dimpling, is effective in reducing port noise. A newly designed crossover design utilizes gold/silver/oil Mundorf capacitors in a simplified assembly said to improve tweeter clarity. The 805 Diamond is also bi-wire-capable through newly designed binding posts, with oxygen-free copper terminals that are as attractive as they are easy to use. If you do not plan on bi-wiring, the supplied jumpers are of high quality and should serve well. The 16.5-inch-tall cabinets are a little over nine inches wide at the front and have a graceful curve over their 13.8-inch depth that culminates in a rounded back. The top panel is also sloped and curved, leaving only the front and bottom panels flat. Despite their modest size, the speakers weigh in at 26 pounds each, due in no small part to the cabinets utilizing Bowers & Wilkins' matrix bracing system and nearly one-and-a-half-inch-thick walls. Knocking on various parts of the cabinet resulted in well-muted thuds. Bowers & Wilkins states that the 805 Diamonds have an efficiency rating of 88dB, a nominal impedance of eight ohms and a frequency response of 49 Hz to 28 kHz +/- 3 dB, with -6 dB points at 42 Hz and 33 kHz. All of this technology does not come cheap. The Bowers & Wilkins 805 Diamonds are $5,000 per pair and their dedicated stands are available for another $700 per pair. My review samples came in a very attractive Cherrywood veneer, with a furniture-grade finish. Rosenut and Piano Black Gloss finishes are also available. While some may feel that $5,000 is an exorbitant amount of money for a pair of small stand-mounted speakers, it is a relatively small price for the technology and material one gets with the 805 Diamonds. I had no problems unpacking and setting up the 805 Diamonds without an extra set of hands. I placed them on heavy metal stands that I have had around for a long time. 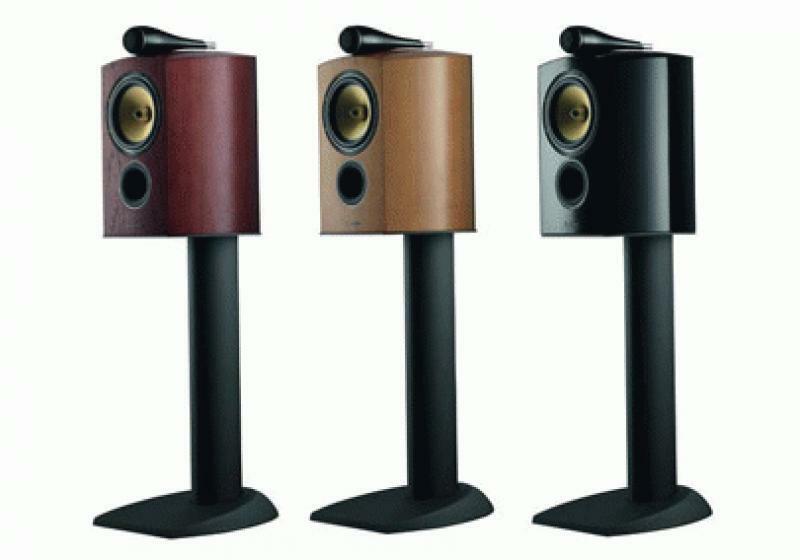 While the stands are not marked with the name of the manufacturer or model, they look extremely similar to the Bowers & Wilkins stands and place the tweeters at ear level to my seated listening position. I connected the speakers with a single run of speaker cable to McIntosh Laboratories MC501 power amplifiers and C500 preamplifier. I used PS Audio's PerfectWave MKII DAC with network bridge and PerfectWave Transport as source components (PerfectWave review forthcoming). After a bit of experimentation, I ended up with the speakers about seven feet apart, a little more than three feet from the front wall, about two-and-a-half feet from the side walls and toed in directly to my listening position. The speakers took well over a hundred hours of break-in before they began to settle in and they probably continued to improve for another few weeks. The difference between out of the box and fully broken in was dramatic. 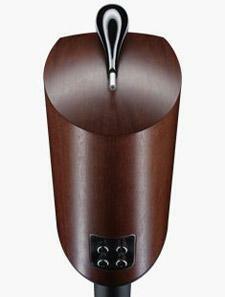 Before you audition these speakers, be sure that they are fully broken in or you will not hear their full potential. Read about the performance of the B&W 805 Diamond bookshelf on Page 2.